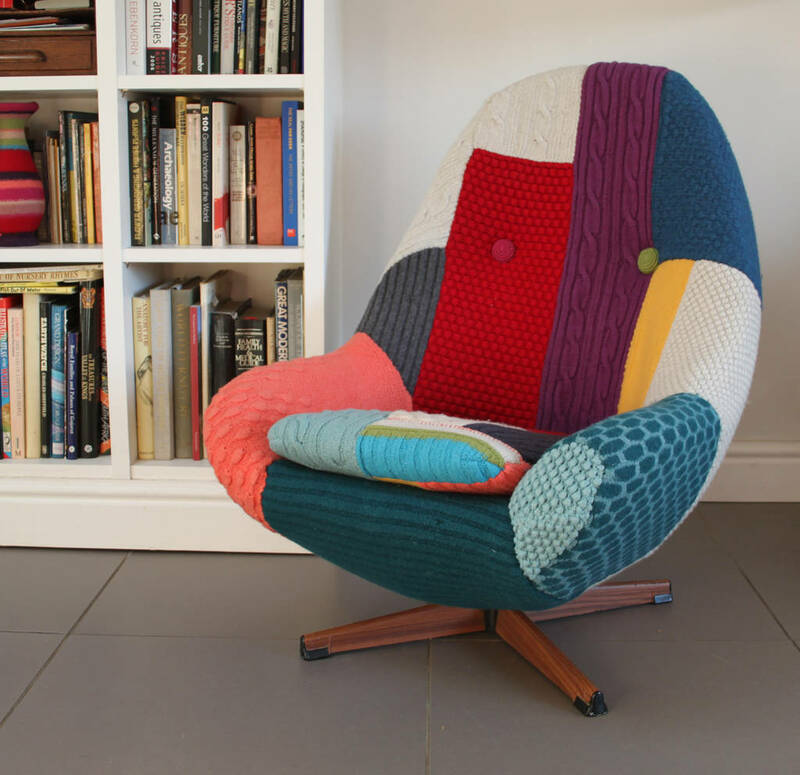 Made to order, Harry is an original vintage Greaves and Thomas swivel armchair on a wood base given our signature patchwork knitted treatment. 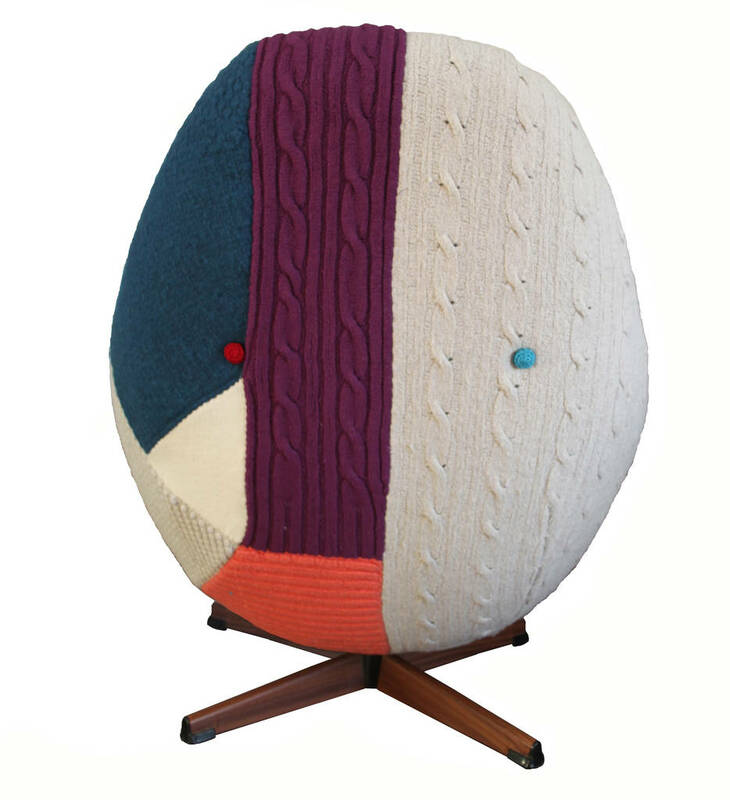 Each panel of knit is individually knitted and felted to create a perfect 'sweater' cover for each piece. 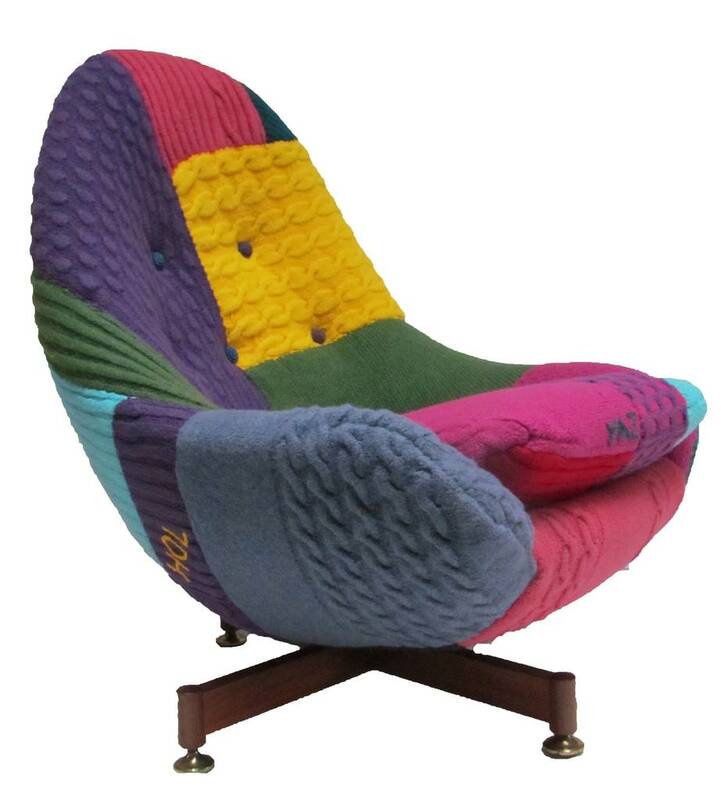 The result is highly textured yet hard-wearing and turns an old chair into an inventive and modern piece of furniture that would make a great statement in any room. Whilst we can 'recreate' from our archive the handmade nature results in each piece turning out completly unique. It can take up to 5 weeks to knit our covers, resulting in a beautifully crafted and individual piece of furniture to treasure. Covered in a handknitted highly textured patchwork design, with contrast colour deep-set crocheted buttons in your own choice of colours. 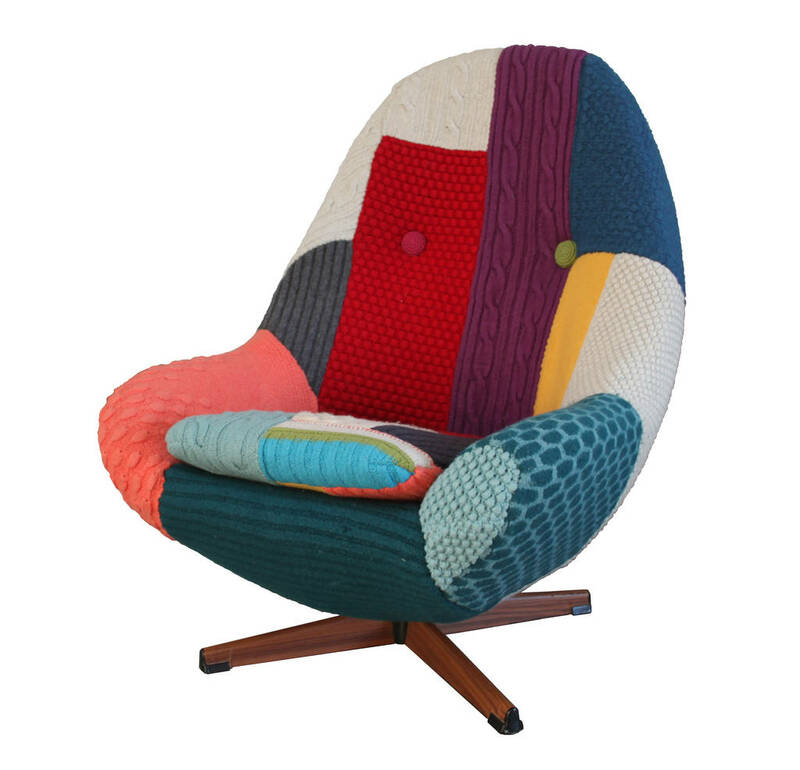 We offer to choose a selection of colours or work with you to create your own bespoke order. We recommend using up to 8 colours for chair.